Pizza in Santa Fe: Welcome to Our Pizza Restaurant Blog! Pizza has become a way of life. From New York to Chicago to California, different pizza styles have emerged that are sweet, spicy, cheesy, deep, thin, vegetarian, anything but vegetarian, gluten-free, and pizza that has almost unbelievable topping combinations. When American’s crave pizza, there’s no shortage of options, even in Santa Fe. So what makes Upper Crust Pizza stand apart from the crowd? 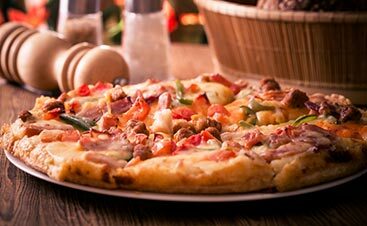 Owned by long-time friends, Upper Crust Pizza has a passion for fresh ingredients, a dedication to and years of fine-tuning our pizza so that the crust is perfectly chewy and soft, the sauce has the right spice and subtle flavors, and cheese that brings everything together. If you’re reading this blog, there’s a good chance you love pizza and simply reading about the age-old dish can make your mouth water. But what is it, exactly, that makes us crave this food? The carbs? The endless variety of toppings? The fact that pizza can even be designated as dessert? To get to the bottom of this question, we must start from the beginning. 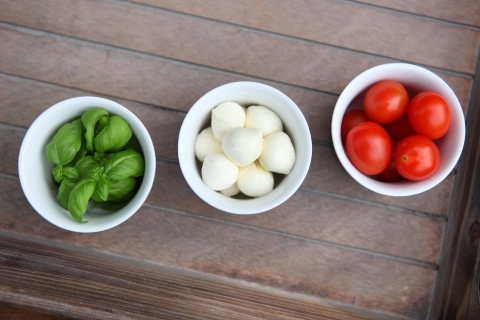 Even the origin of pizza is somewhat of a mystery, so we must travel back to Italy over 200 years ago. The waterfront city was doing well in the early 1800s, but there were many working poor living in the area. Many of these lazzaroni were living near the water in tiny homes and they needed foods that could be made and eaten quickly. Flatbreads were made with various toppings, sold, and eaten by street vendors or at informal restaurants. These flatbreads had the same toppings on them then as we add now: tomatoes, cheese, oil, anchovies, and garlic. In 1889, this duo traveled to Naples. After getting bored of French cuisine, they wanted something different to try. A local pizza establishment, Pizzeria Brandi, made Queen Margherita a variety of pizzas to give her taste buds a change. The pie she loved most featured ingredients that represented the colors of the Italian flag, red sauce, green basil, and white mozzarella cheese. And so became the Margherita pizza, a favorite among pizza lovers. It may be surprising that even though Queen Margherita loved the Neapolitan dish so much, it didn’t spread outside of Naples until the 1940s. When Neapolitan immigrants landed in the US, they came here for factory jobs and didn’t plan for the significant impact the poor, working food would make. However, the crusty food became a favorite for Americans in New York, Boston, Chicago, and St. Louis as well as non-Italian Europeans everywhere. Pizza had its very beginnings in the US inside homes and unlicensed vendors, but the first documented United States pizzeria is Lombardi’s, which opened in 1905 in Manhattan. 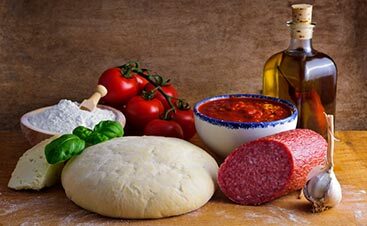 From the classic Lombardi’s came bar pizza in Boston, deep dish in Chicago, Detroit style, Greek Pizza, Sicilian pizza, Hawaiian style, New Haven, St. Louis, California style, and many more in between, each with their own distinctive style and flavor. After pizza became so popular states-side, it spread far and wide across the globe. 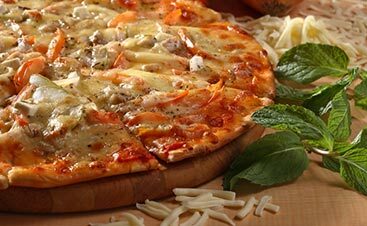 Curaçao in the Caribbean, which uses Gouda cheese and Brazil, who tops their pizza with hardboiled eggs found their own versions, far from the original Margherita. What Do You Love About Pizza? What can be shown in the history of pizza is that it is an all-encompassing food. Not only the ingredients, from anchovies to olives to pepperoni to chicken to pineapple, but everyone in the world can make it their own. Dip the crust in ranch or honey, put extra parmesan cheese or red pepper flakes on top, splash on some hot sauce, pizza lovers don’t judge. Whether you’re from Italy, Chicago, Sante Fe, or Brazil, when you sit at a restaurant and have that pie delivered to your table, or you order delivery and you open up the lid of the box and the smell hits your nose, all of your cares are pushed aside. When a group gathers to commune with each other over a pizza pie, it is an opportunity for everyone to share in the experience of eating and making memories. At Upper Crust Pizza, what makes us stand apart from other restaurants is family. 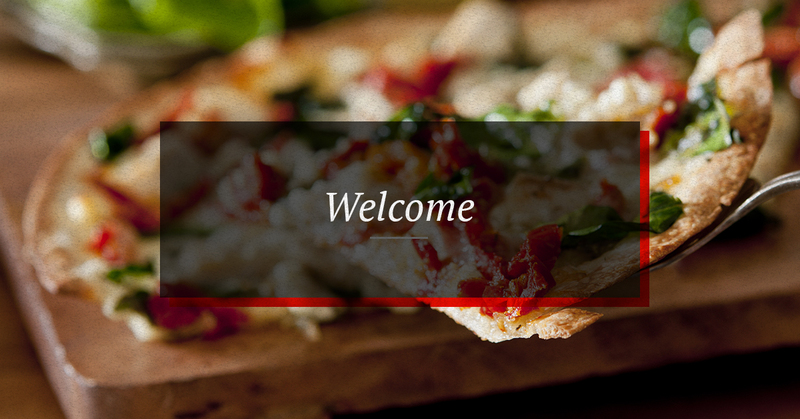 When you enter our restaurant, we will invite you in as one of our own. When you dine on our patio, we will help make you feel as if you were on your own patio at home with your friends. And when the Upper Crust family makes food for their own friends, they only make the best. 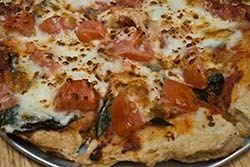 So come in and enjoy one of our specialty pizzas, design your own pie, or try one of our many calzones or salads. Not only will you enjoy being a part of our family, you can taste our own version of this classic Naples, turned New York, turned Sante Fe food.